Jim and Elissa Christie’s Mercedes Benz and Mercedes CL 600 V12 Coupe. 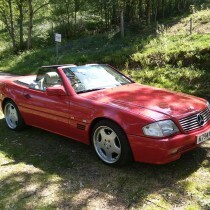 Pictured below is Jim and Elissa Christie’s 1991 Mercedes Benz 300SL. 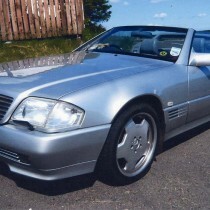 Jim Christies Mercedes CL 600 V12 Coupe. 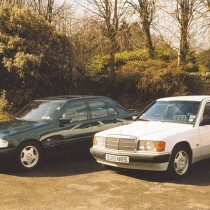 Ian has two lovely Mercedes cars – a white 1989 Mercedes 190, and a green 1996 280 Sport.